We've all heard of BYOB, but what about BYOD? No, you won't be attending a BYOD restaurant any time soon. BYOD, or "Bring Your Own Device", is one of the latest trends in safe networking. However, BYOD can only go so far: BYOD means little when a business organization fails to secure those devices correctly. To help protect your most sensitive information, we've compiled a list of the top 5 best practices for safe networking with BYOD. With all of this being said, your head may be in a whirl wind, trying to figure out the first steps you should take. Well thanks to our little friends of the 2000's, applications or apps can keep all your information secure with the touch of a few buttons. If losing your phone is a for seen problem, "find my Iphone" is able to navigate the location of your go to gadget. Not to worry, your phone can easily be protected from the potential hacker, with the simple download of a password lock, that even with a full charge, you need your password, or even your fingerprint to crack the code! Determine What The BYOD Policy Actually Covers. Technology is constantly expanding, which can lead to confusion where BYOD policies are concerned. Unlike recent years, when all company-issued or -approved devices were essentially BlackBerries, today's mobile devices include iPhones, iPads, and Androids, and the list is always growing. If employees aren't crystal clear on precisely which devices can be secured by their companies, the ability to actually secure BYO devices plummets. Passwords are always important, but your iTunes user account information is hardly as sensitive as the data stored in your work device. Not only do you need to protect your own information, you also need to make sure that your clients' information is securely locked down by a hack-proof password. Lengthy and meaningless strings of letters and numbers may not be easy to memorize, but it's well worth putting in the extra five minutes for the peace of mind a strong password affords. Keep Tabs On Your Devices. When an iPhone or other personal device is stolen, it's always a drag for the owner. They've suddenly incurred a potentially expensive loss, not to mention an unexpected dip in on-demand capabilities. (Were you planning on using an app to find a restaurant to eat at tonight? Not anymore.) However, when that iPhone is full of links, spreadsheets, databases, and personal and financial information related to the workplace, it's more important than ever to keep a close guard on the physical device. It may sound like basic common sense, but the NYPD reports that over 40% of all robberies involve cell phones, while in Los Angeles, cell phone robberies are up nearly 30% from the previous year. If you live and work in a metropolitan area, the need to guard your devices is even more pressing. Understand Your Company's BYOD Privacy Policies. As BYO devices inherently blend the personal with the professional, it can be particularly tricky for employers to balance respect for privacy with the company's needs to view data and even wipe the device in the event of emergency (e.g. a stolen device). Take the time to evaluate the nuances of your company's privacy policies when it comes to the use of BYO devices. If these policies mandate that data must be wiped if the device should be stolen or otherwise compromised, your company may offer back-up support and alternate data storage systems. 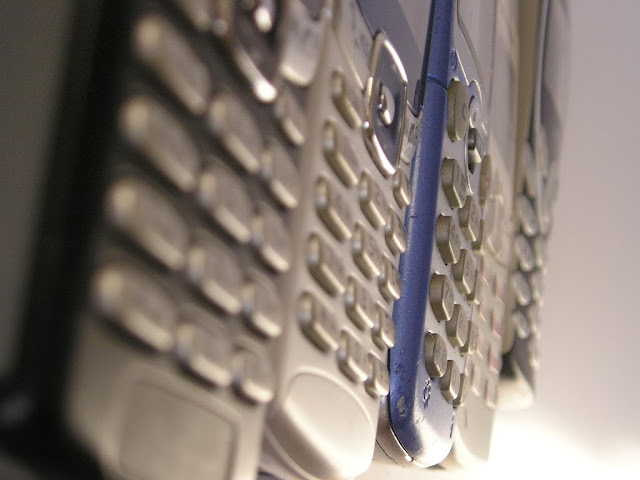 Understand Your Company's BYOD Acceptable Use Policies. In addition to privacy policies, BYO devices are also subject to the company's acceptable use policy. The better you understand the acceptable use policy, the easier it will be to use the device in a way which minimizes safety risks. A company may prohibit employees from transmitting certain information (e.g. uploading a personal music file for illegal sharing) or perusing certain websites which are not secured and could expose the device to malware, spyware, and a host of miscellaneous viruses. If you have a choice between BYO devices prior to making a selection, it may be worthwhile to examine virus vulnerability as a factor. Making sure your personal information and properties are secure, is crucial to financial success. As well as keeping your information confidential, you will want to practice safe handling of income and tax paperwork, along with properly filing for all of your employees. Shannon Carpino is a personal injury writer from Philly. if your business has any questions regarding tax law, estate planning, or employee privacy, contact a Philadelphia estate attorney.